By now, you probably have heard about Hurricane Matthew that is currently on path to hit the already broken country of Haiti sometime today. When disaster like this strikes, we often hear people request prayer for the people of the country. In the past, I will admit I have stopped briefly to say a prayer for those in need and carry on with my day. I didn't really have a connection to the place I was praying. I didn't have a face. I didn't have a name. I have a face of a young boy who needs hope. I have a precious name that our family calls out in prayer daily. I have an exact town to fervently pray for God's protection as I watch the storm loom closer. If you have no connection to the country of Haiti, I want to share a name with you so you can pray more specifically. His name is Renelson. Right now, there is a 7 year old boy who lives with his father and grandmother in Haiti that is in the direct path of this category 4 Hurricane. This same boy enjoys playing soccer with friends. He attends school and also collects water and firewood for his family. Many of these families live in tents or other make-shift homes that are in no way prepared to withstand this storm. But our God is BIGGER than this storm! He is still the Comforter, Provider, Healer, and Protector. 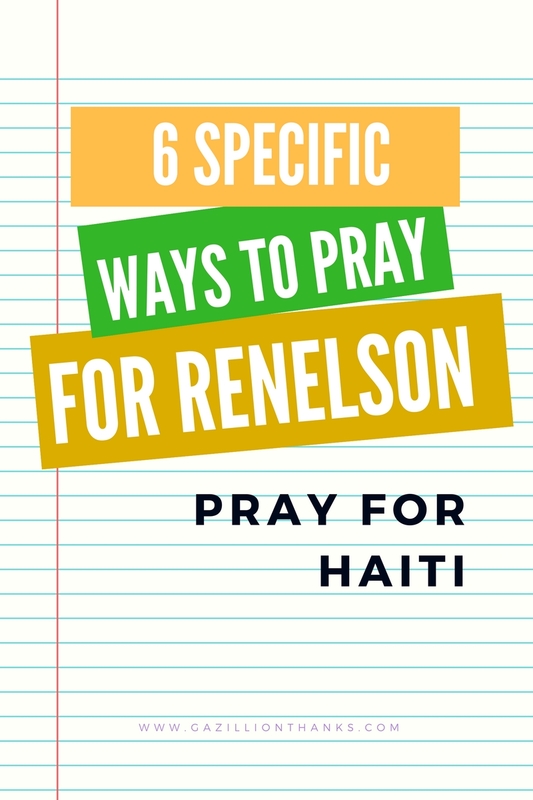 How can you specifically pray for Renelson? 1. Pray that Renelson and his family are able to find shelter from the storm. 3. Pray that God would wrap him in His loving arms and take away all fears. 4. Pray that after the storm, this family would be able to find the provisions they need. 5. Pray his community would not be devastated and his father and grandmother would be able to find work to help the family. 6. Pray this family would not be separated by this storm. I don't ask prayer specifically for Renelson for selfish reasons. I know there are millions more living on that island that need your prayers, too. But now, you have a name and 6 prayer points to pray about when you hear people request prayer for Haiti. 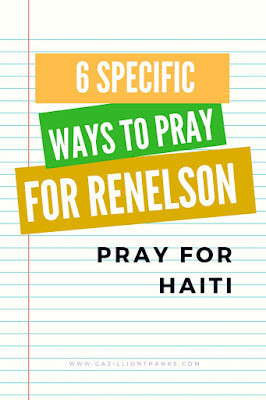 Will you join with me in praying specifically for Renelson?